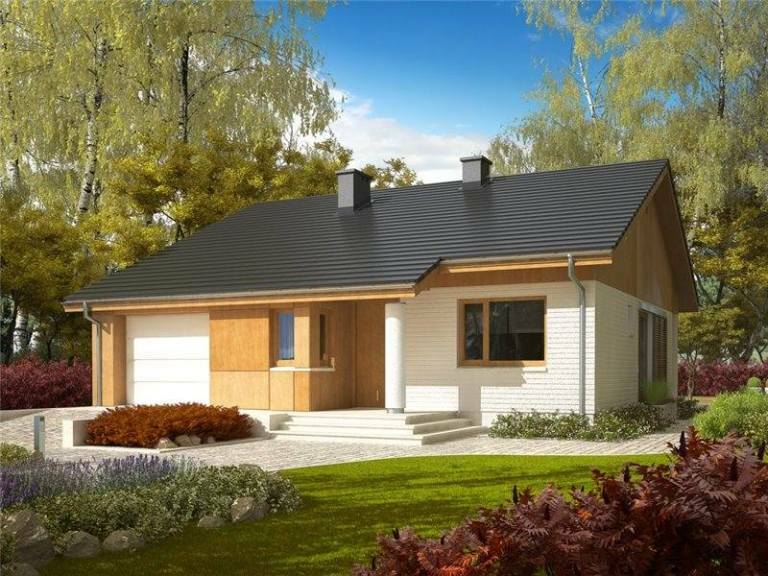 In the ranks below, we present three projects of houses with garage, suitable for a family of three or four members. We selecat dwellings that harmoniously combine traditional and modern elements, the result being a very special one. 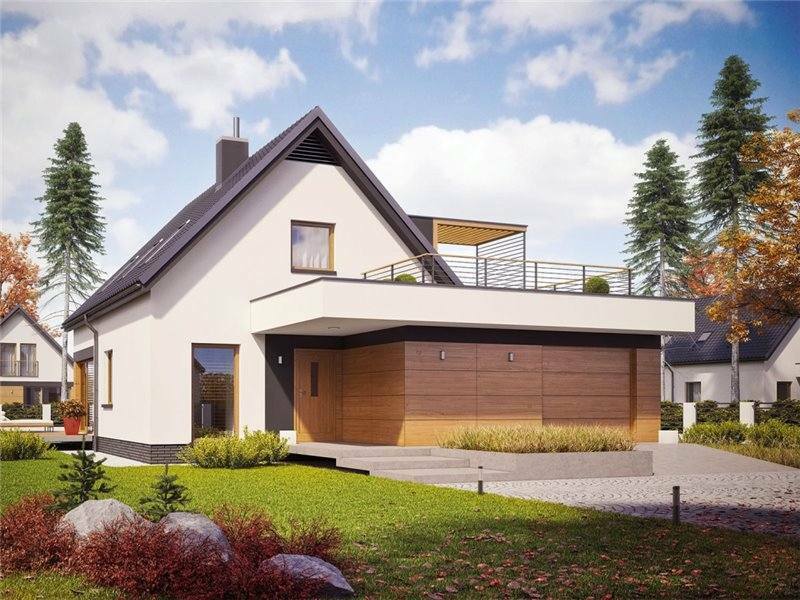 The first house has a very modern design and enjoys an increased brightness, both the living room and the bedrooms having glazed doors with rear exit. 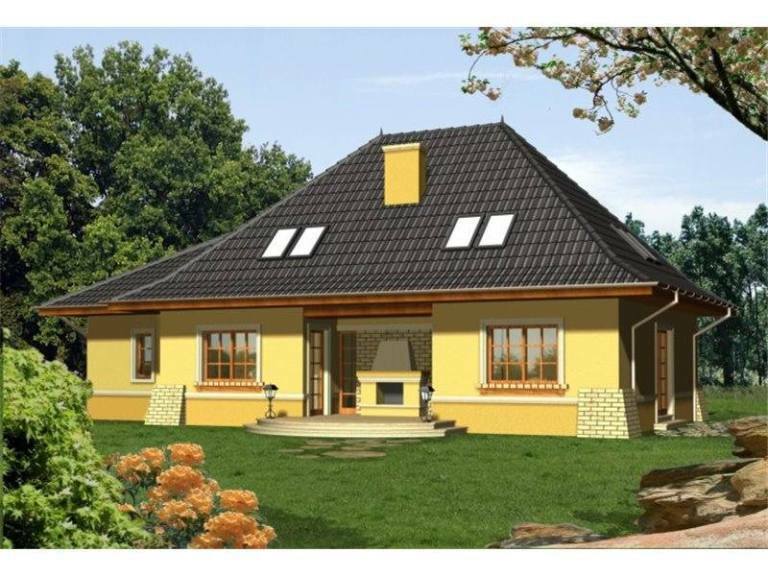 The house has a useful area of 117 square meters and can be built to the key for 59,000 euros. 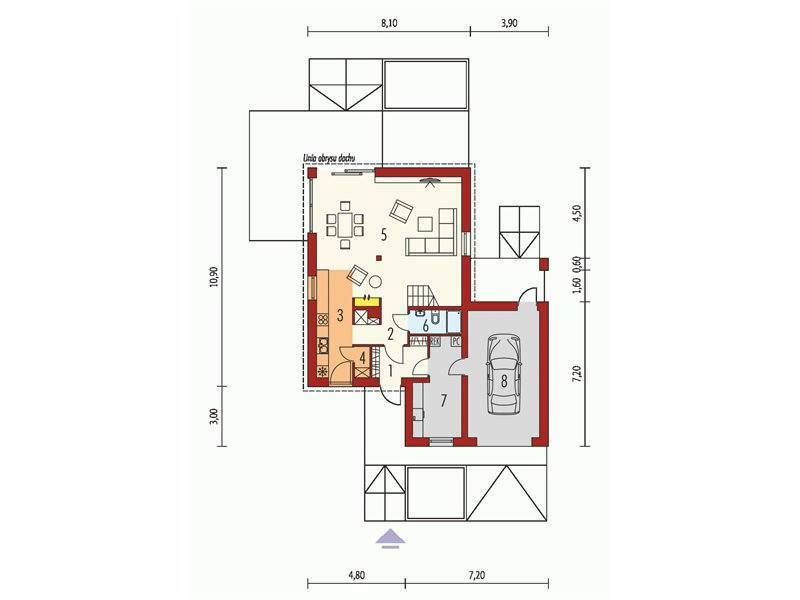 On the garage side, the house comprises the technical space, two bathrooms and two bedrooms, and next to the other side of a hallway, there is the kitchen closed, with the pantry, and the living room. The second house is a modern one, the garage and the technical room adjoining alcatuind a distinctive volume, dressed in wood. 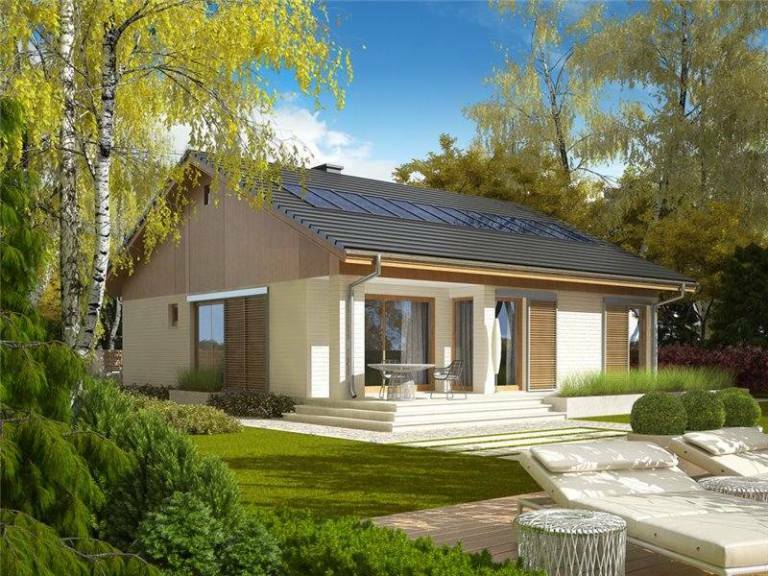 For the terrace is proposed a very pleasant arrangement with a pergola awning. 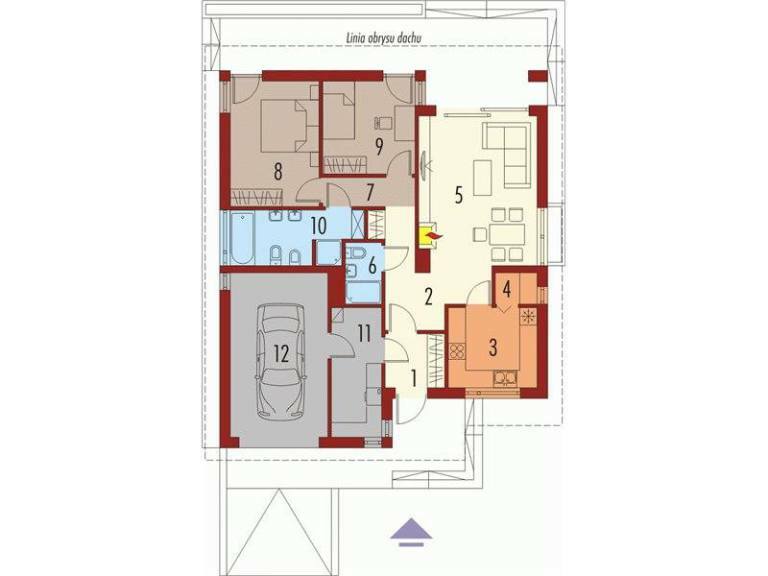 The useful area of the house is 187 sqm, and the turnkey construction is estimated at 87,000 euros. In front there are several entrances: one directly in the kitchen and entrances in the vestibule outside and out of the garage, through the technical room. On the ground floor there is a small bathroom and the living room with the exit on the terrace uncovered from behind. In the attic there are 3 bedrooms, one of which is a matrimonial with dressing and exit on the terrace, and a bathroom. 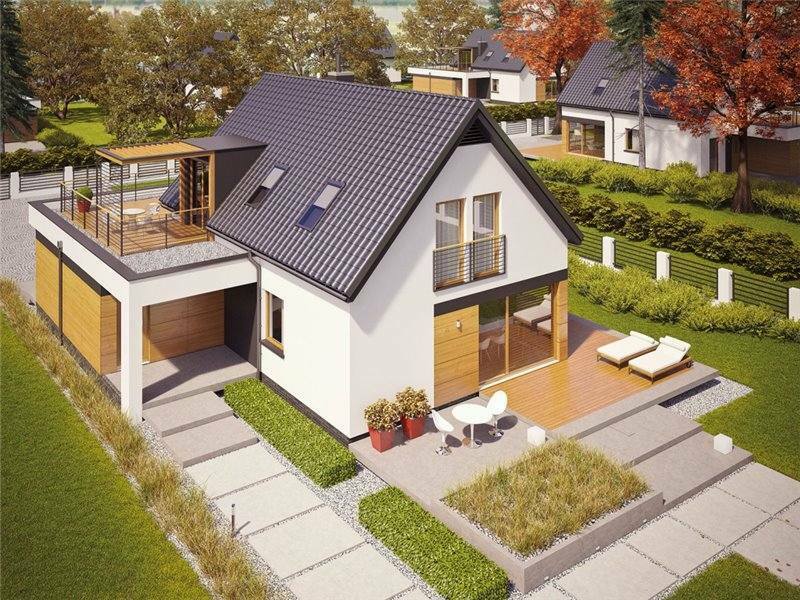 The third example is a house with a traditional architecture, but elegant at the same time. It has large windows, divided into meshes, four-water roof decorated with a small skylight in front and a terrace with a fireplace in the back. 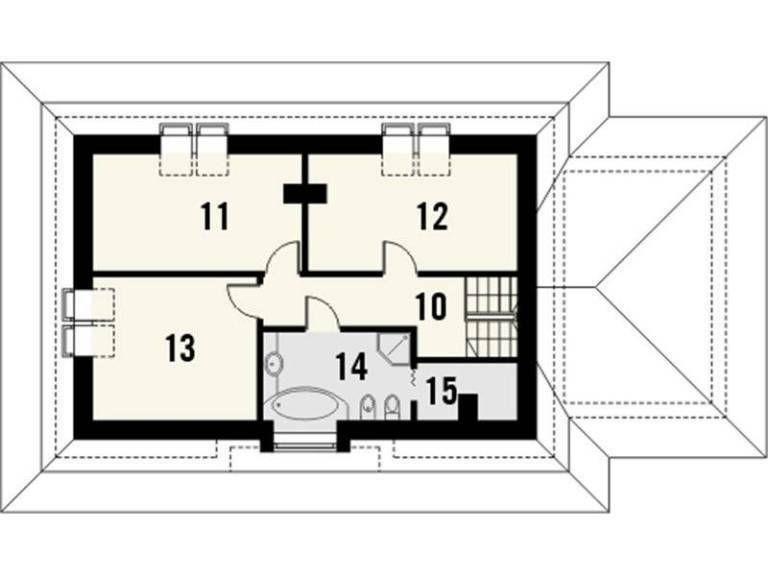 The ground footprint of this House is 115 sqm, and the cost of completing the key is estimated at 57,000 euros. The center is the dining area, right next to the interior fireplace, which is back-to-back with the one on the terrace. 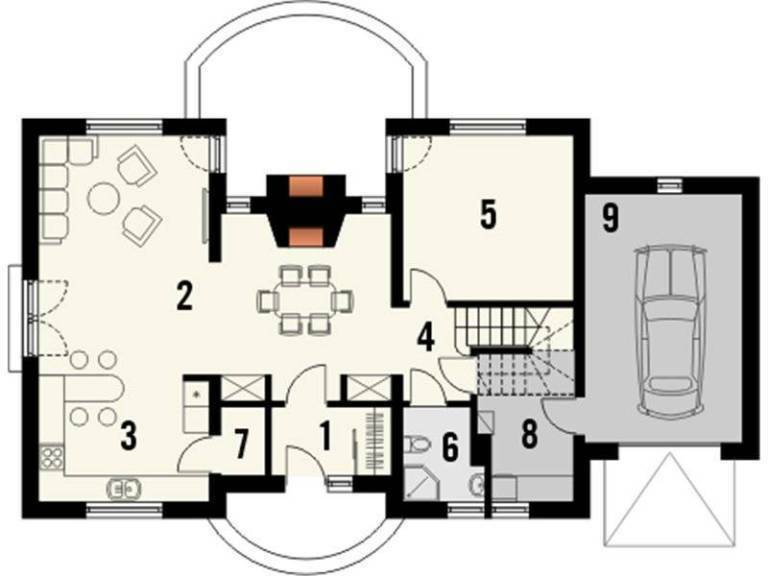 Next to it is, on the one hand, the living room and the open kitchen, with the pantry and bar, and on the other side a small hallway with entrances in the bedroom and bathroom. In the technical room, next to the bathroom, enter from the garage. 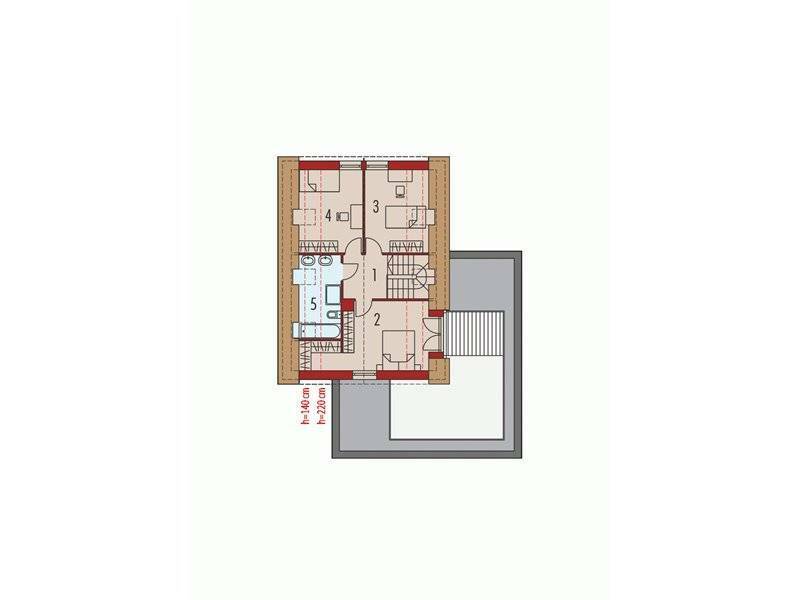 There are three bedrooms in the attic and a large bathroom with a dressing room.